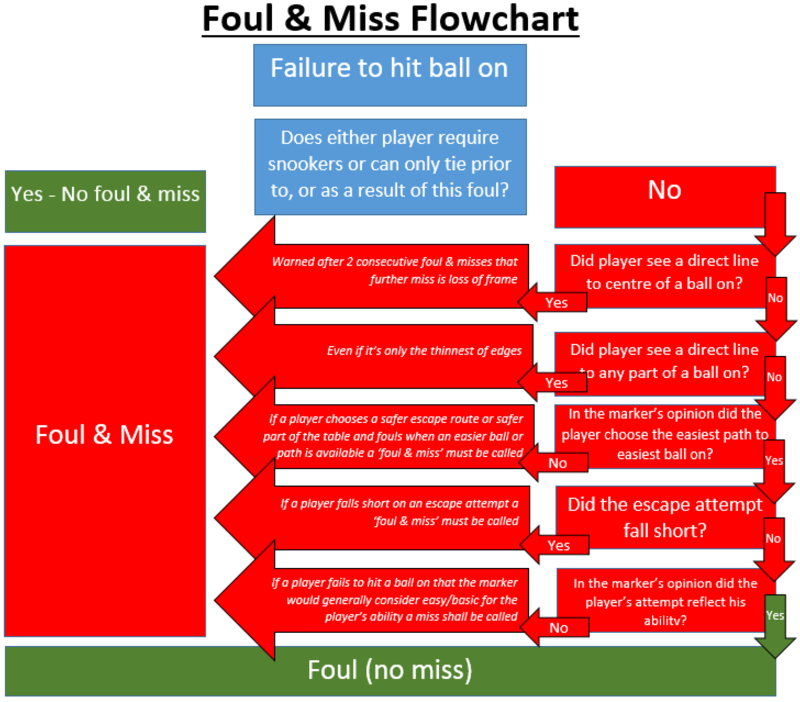 As discussed at the 2016 AGM the NDBSA has provided a ‘Foul & Miss’ flowchart to assist members in applying the rule. This flowchart is a summary of the rules as outlined in the World Snooker & Billiard Rules. Please refer to this document for the exact wording of the rule. Just a reminder that apart from the Rex Smith Shield all NDBSA Snooker competitions are to play this rule.